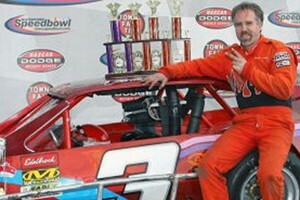 Dennis Gada won his record-setting 5th consecutive SK Modified track championship in 2003. It was also the 5th straight season he led the division in wins. At season's end, he extended his SK Career Wins record to 45. He started the season by winning the Modified Nationals SK 150, and finished the season with a victory in the Finale SK 100. Dennis added to his historic season by capturing the 2003 NASCAR Dodge Weekly Racing Series New England Region title as well. 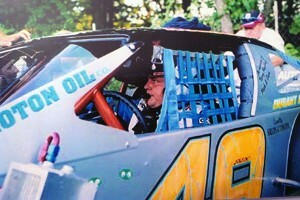 It was also a record seventh track championship for car owner Harry Wyant, who additionally won back-to-back titles with Jimmy Broderick in the mid-1990s. It marked the 3rd consecutive season that Ed Reed Jr and car owner "Flash" Gordon Rodgers would finish as runner-up to Dennis in the point standings. 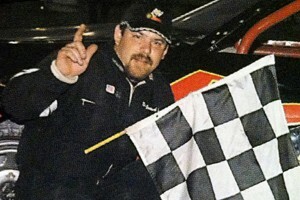 After finishing 3rd, 3rd and 2nd in points over his first 3 seasons in the Late Model division, Corey Hutchings won his first Late Model Track Championship and 2nd overall (1998 Strictly Stock) in 2003. Tied with Diego Monahan, Corey also led the division in wins with 3 – including a victory Sp portion of the Pepsi 300. 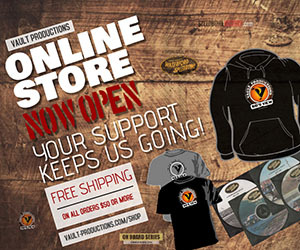 Monahan, Bruce Thomas Jr and Larry Goss all won back-to-back features during the year. Mark St. HilSiare won the early season 50 lapper. Allen Coates won the Finale LM 100. Ed Gertsch Jr would win the Sportsmen track championship by a scant 2 points over Keith Rocco. 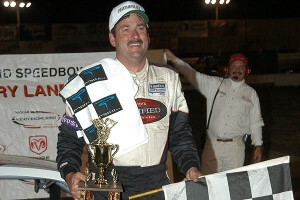 His 2 feature wins also tied him with Chris "Moose" Douton as the division's all-time win leader. Sean Curtis enjoyed his best season ever leading the division in wins (3) including back-to-back features in the middle of the season. Jay Lozyniak and Chuck Rogers won the 50 lap events. The Perry family from Ashaway R.I. have enjoyed success at the Waterford Speedbowl for several decades. 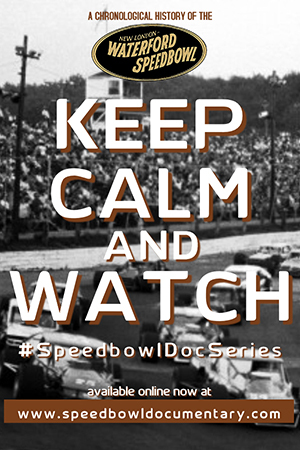 Butch, his brother Roger & Roger's son Dennis Perry have all visited Speedbowl victory lane during their careers. 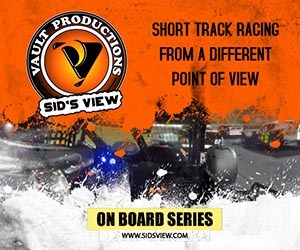 Butch's son Norm is a motor builder with many 'bowl feature wins to his credit as well as Track Championships at the other Connecticut tracks with cars driven by his sister Shelly. But it's their cousin Joe Perry who is the only member of the clan with a Speedbowl Track Championship to his credit winning the 2003 Mini Stock title. The season saw many leaders atop the point standings during the year – including Jim Lynch, Glenn Colvin, Richard Brooks and Timmy Jordan – but in the end it was Perry, winning his only feature late in the season, who was the most consistent and finished ahead of Jordan (-18), Phil Evans (-22) and Colvin (-30) who led the division in wins with 4. 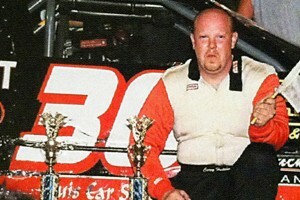 Brooks won the 30 lapper in May, while Evans and teenager Chris Burton won the 50 lap events. Jags Palmer and Darrell LaPointe Jr finished tied atop the Wild N Wacky Wednesday Legend Car final point standings, but the track championship went to Palmer, who had 5 victories to LaPointe's 1. Palmer, who also won the Saturday Legend Car track championship, became the 1st driver to capture a point championship in both Wednesday and Saturday Legend Car series in the same season. On September 20th, Corey Williams – a 16 year old from Booth Bay, Maine – won the first ever Legend Car time trials at the Waterford Speedbowl when he set fast time with a 16.883 qualifying effort. Making only his second career start at the Speedbowl, Williams went on to win the 25 lap feature from the pole. His victory qualified him for the Legend Car Nationals race held in Concord, NC during October. The biggest crowd of the year was for Nextel Cup Night on July 19th. 4 NASCAR Cup drivers visited the Speedbowl to sign autographs and compete in an exhibition race driving SK Modifieds. Jimmy Spencer, who won a NASCAR Modified Tour race at the 'bowl in the mid-80's, won the 10 lap event behind John Brouwer Jr's #49. Steve Park, Sterling Marlin and Dave Blaney also competed. Fans stood in line for hours during the pre-race autograph session on the midway. 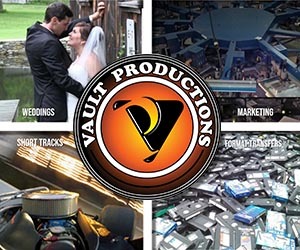 The video above shows a :30 television commercial run on the local NBC affiliate promoting the event. In July, a special Race Against Time Night promotion was held during the area's popular Sail Festival weekend in New London (CT) harbor. 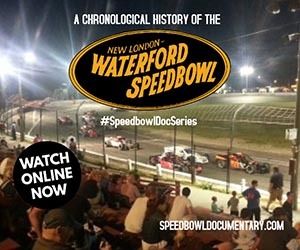 Since 2000, the Speedbowl did not hold racing events on this weekend. For 2003, track operator Terry Eames tried something new on this weekend: time trial qualifying for all divisions and imposed a time limit on the feature races in an attempt to allow fans the opportunity to watch the races AND still be able to view the traditional fireworks extravaganza on the Thames River harbors later in the evening. No races were cut short by time, but Jeff Miller became the Mini Stock lap record holder when he won the division's first ever time trial event with a 17.954 effort. The NASCAR Modified lap record was broken for 4th consecutive year when Chuck Hossfeld put up a 13.630 time trial lap during the Budweiser Modified Nationals. 1985 Speedbowl SK Champion Rick Fuller went on to win the 150 lap feature, but Hossfeld returned to win the series' 2nd Speedbowl event in August. Kelly Moore won the NASCAR Busch North Series 150 in July for the 2nd straight year.